This much, we are all familiar with. Diabetes (diabetes mellitus) is classed as a metabolism disorder. Most of what we eat is broken down into glucose. Glucose as we all know, is the principal source of fuel for our bodies. 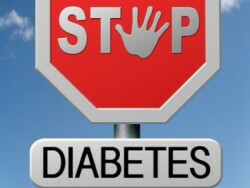 A person with diabetes has a condition in which the quantity of glucose in the blood is too elevated (hyperglycemia). This is because the body either does not produce enough insulin, produces no insulin, or has cells that do not respond properly to the insulin the pancreas produces. This results in too much glucose building up in the blood. This excess blood glucose eventually passes out of the body in urine. So, even though the blood has plenty of glucose, the cells are not getting it for their essential energy and growth requirements. This too, most of us are familiar with. Do you know what causes this metabolic imbalance and pancreas to mal-function? We all know that our mind and physical body are closely intertwined. For instance, when you think of something sad, you feel a physical heaviness in your heart. When you feel strong emotions like fear, stress, anxiety, resentment, jealousy etc, our breathing pattern gets affected. You are unable to breathe in properly. This causes an oxygen-scarcity in the body. Your metabolism, the ability to convert food into energy is diminished. You experience low energy, and are susceptible to fatigue. Due to this, you have less resistance to adversity. Your reactions to people and negative environment are in extremes, in turn fueling more negative emotions like anger, fear and resentment. Thus, a never-ending pattern is established. All this affects our emotional center or the Solar Plexus Chakra. According to ancient teachings, a human being is a combination of seven layers of visible and invisible (energy) bodies. They are the soul, subconscious, causal, mental, astral, etheric and physical bodies. Out of these, the physical body is visible surrounded by the energy bodies. The energy body inter-penetrates and extends beyond the physical body. Chakras are energy centers located in the energy body along the spine. These centers correspond to major acupuncture points in the physical body and have varied functions. Chakras are like power stations that supply life energy or prana from the environment to vital organs of the physical body. They control and energize the vital organs of the body, in turn affecting a person’s physical, psychological and spiritual conditions. There are 7 major Chakras located along the spinal cord, from the base of the spine to the top of the head. The Solar plexus or Manipura chakra is present slightly above the navel and below the ribs. In the physical body, this chakra rules over the epigastric plexus and governs the working of the stomach, intestines, spleen, gall bladder, diaphragm, liver, pancreas and the adrenal glands. These glands create important hormones involved in digestion, converting food into energy for the body. The Solar plexus chakra is associated with the power of fire and digestion. In the energy body, the Solar plexus chakra is our emotional centre and is considered the center of dynamism, energy, will power and achievement, which radiates prana (energy) throughout the entire human body. When we feel strong emotions like fear, stress, anxiety, resentment, jealousy etc, these emotions block the solar plexus chakra, due to which it stops giving energy to the respective organs like liver, Pancreas, stomach and gall bladder resulting in weakness of the organs. Now do you see how emotions and metabolism are tightly interwoven through the Solar Plexus Chakra? A consistent, never-ending pattern of negative emotions like fear, anger, resentment, anxiety, jealousy, clogs our energy body with negative energy, disallowing the flow of healthy energy, eventually affecting our emotional center or Solar plexus chakra. The environment we have grown up in also plays a role in affecting the Solar plexus chakra. Poor feedback, lack of affection, criticism, rejection, and being ignored or unappreciated, all play their part. The Solar plexus chakra becomes blocked and weakens, resulting in weakened functioning of all the organs and glands it governs. The pancreas is unable to produce the quantity and quality of insulin required to help our body absorb the glucose and convert it into energy. This leads to the chronic disease we all know as Diabetes. Thus, Diabetes is in fact, just a symptom, not the cause. Germinated Black gram, taken with half a cupful of fresh bitter gourd Jiuce and teaspoonful of honey is highly beneficial in the treatment of milder type of Diabetes.Use it once a day for 3 to 4 months with restriction of carbohydrates. The mango leaves can be dried in shade, powdered and preserved. Half a teaspoonful of this powder has to be taken twice a day in the morning and evening. Note : Please inform/consult your physician before you try the above. The popular belief is that diabetes is a life-long disease and can never be cured, only controlled by controlled consumption or non-consumption of food containing sugar. However, now that we have understood that the root cause of diabetes lies in the emotions and energy body of the individual, not in his physical body, the logical conclusion is that if the energetic body of the individual is brought back into balance, it will result in balance in the physical body. Once the cause is removed, the symptom will no longer exist. Thus, the first step to remove diabetes is to clean the energy body and strengthen the Solar plexus chakra. This will enable it to supply sufficient healthy energy to the organs and glands it governs, in turn strengthening the functioning of the pancreas, enabling production of the right quality and quantity of insulin. The next question is, how can we clean the energy body and strengthen our Solar plexus chakra? This is where Chakra-Healing can help. Chakra-Healing is an energy-based healing therapy, which focuses on strengthening the affected chakras so that they can function properly. This is done by clearing the blockages in them and aligning the energies of the human body so that they work together in harmony and bring abundance, happiness, physical and mental health, love and confidence to the individual. To achieve this end result, different healing techniques are used, based on the severity of the problem and the energy of the person. Chakra-Healing works on the root cause of the problem, which is in the energy body; not on the symptoms. It is purely energy-based and is completely a no-touch, no-drug and no-pain therapy. Like the fish are connected to each other through water in an ocean, we all live in a pool of energy. All healing techniques are based on Law of Resonance. According to the law of resonance, when two systems are oscillating at different frequencies, there’s a force that causes the two to transfer energy from one to the other to attain the same frequency. This is scientifically called Entrainment. Entrainment is a process by which things align their movement and energy together to match in rhythm and phase. We may look at diseases as out-of-tune behavior of one or more of our organs of the body. When a strong harmonizing rhythm is applied to it, the interference pattern of waves which is the organ, may start beating in tune again. When two bodies are vibrating at different frequencies through resonance and entrainment, either the lower vibration will come up, the higher vibration will come down, or they will meet in the middle. In Chakra-Healing, the practitioner raises his vibration and connects to the energy body of the individual who is ill or with a low vibration. Like a similarly tuned circuit, the lower vibration will eventually match up to the higher vibration, thus facilitating healing. In summary, all the healer is doing, is providing the resonant energy to allow the individual to heal himself. Love is the universal vibration that allows people to transfer healing energy from one to another. I hope you have found this blog post useful. Please remember to leave your feedback in the comments section below. I am diabetic since 11years.I really wish to get rid of this. I like the ways u have mentioned for the cause.I am a truly emotional person.I get angry very often .I fell restless,stress a lot for everything,etc.These condition are effecting my day to day life.please advise me the best.I am 38 years old ,my parents too are diabetic.Doctors say that this may be a genitic factor. Hi, my 5 year son has type 1 diabetes & on insulin. Can it will be cure with chakra healing tharapy & in how much days diabetes can cure with this therapy. Wonderful article Sir. Wishing much more guidance with your intellect to public !! 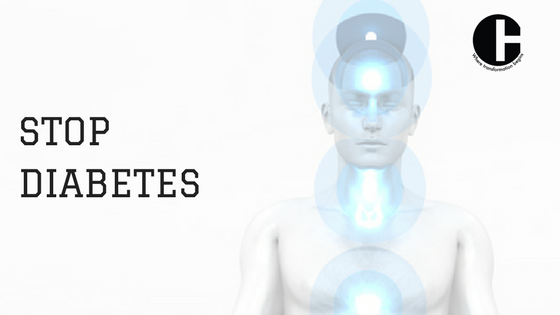 Are you taking consultation for type 1 diabetes using chakra healing?How to connect you? I love this blog post so much – you have confirmed what my intuition has been telling me. I have a 14-year old niece who has been diabetic since the age of 6 – I really want to help her, but my brother doesn’t believe in energy healing or even healing foods. I have healed minor things on people (swollen eyes etc). But I feel I have this gift.